The Deal of the week is actually 2 items. For Lips fans, the DLC Coldplay Track pack can be yours for 240 Points, compared to the original 440 price. For Xbox 360 users in Japan, Pinball FX can be yours for 400 points, saving you 50% off the original 800 points price. "Purchase this Song Pack to add "In My Place," "Speed Of Sound," and "The Scientist" by Coldplay to your Lips library. You’ll get each song’s track, chart, lyrics, and original video (when available). A Lips game disc is required to play this downloadable content. Many downloadable Lips songs are available both in Song Packs and as single items. These songs are exactly the same unless expressly noted as a special version or remix. Be aware that it is possible to download the same song twice so please carefully consider your purchases." "Single Player, Xbox LIVE Multiplayer 2-4, HD (High Definition). 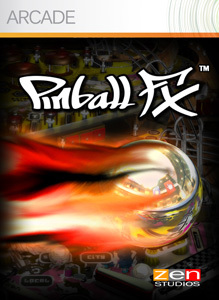 Pinball FX sets a new standard for realistic ball physics and graphical detail in pinball video games. The FULL version supports the Xbox 360 Live Vision camera, which lets you control the flipper arms with hand/arm motions or chat live. You can also play in online multiplayer competitions, and download new tables from Xbox LIVE Marketplace. Pinball FX is pinball at its best!"